Many business-people that work from home like to have their own space to be able to concentrate and get work done in. Because of this, home offices have become popular in many modern homes. Sometimes, however, there is not enough space in the home for a home office, although one may be necessary or greatly desired. When this happens, there is another solution: convert your shed or workshop into, or build a new structure to be used as, a home office. If you currently have a shed in your backyard, odds are that it is not hospitable yet for a home office. Therefore, the first step should be to clean out the inside. You may be surprised as to how spacious the shed is when everything else is removed, thereby giving you plenty of room for a home office. If you don’t currently have a shed, then this is a good opportunity to build one with just the right size you want for an office. When you build it as well, it will be fresh and clean and can save you the hassle of preparing it through conversion. One of the most important things that you will need in a home office shed is electricity. This raises the concern of having to run electricity into the shed to be able to power lights, computers and possibly a television. Although having electricity in your shed or home office is very important, you should not try to run wiring or add extra outlets on your own. This can be dangerous and frustrating, so leave the task to a professional electrician. Insulation may be a good idea for the shed as well, not only to protect wires, but everything else inside. Having a home office is a very useful commodity for people who work from or take work home. 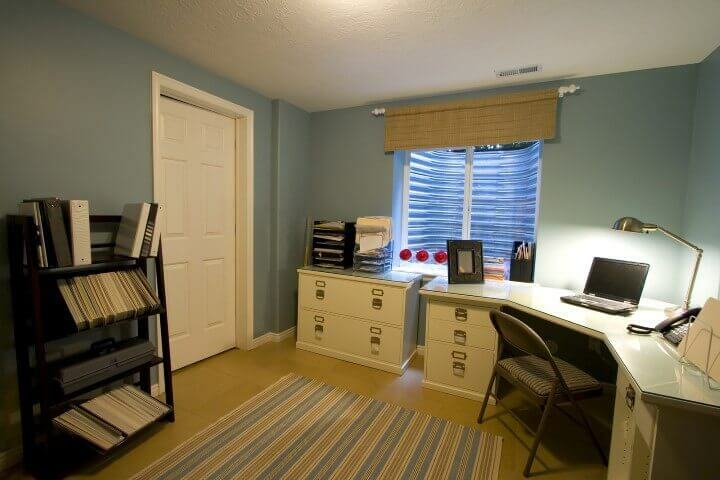 If there is not enough room in the house, consider converting your workshop into an exterior home office. Even if you don’t have an existing shed, it is easy to build the perfect one in your backyard for your home office. For more information on using a shed as an office and how to build one, please call us on 1300 778 628.